Click the button below to add the XL Harley Davidson Road King Batwing Fairing 0095 to your wish list. Designed to give you a superior bagger look and more wind protection than our standard Road King Fairing. Throw in more space for a bigger amp and better sound. 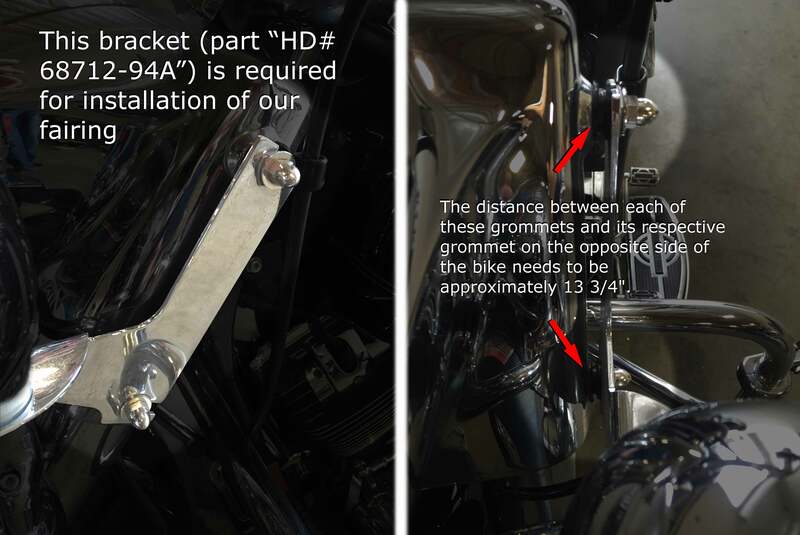 NOTE: Part HD#68712-94A is required to install our fairing. I received my fairing in a very timely manner. When I received it the packaging was adequate and kept everything same. The fairing itself seems to be of great quality! I assembled and installed my stereo equipment in the fairing and had it mounted in about 2 hours. I would absolutely buy this again if I ever had the need for another.